In January 1944, Grace Anderson, Lena Maki, and Lena’s mother, Violet, have joined the growing ranks of women working for the war effort. Though they find satisfaction in their jobs at a Wisconsin shipyard, it isn’t enough to distract them from the anxieties of wartime, or their fears for the men they love: Lena’s twin brother, Derrick, and Grace’s high school sweetheart, Alex. When shattering news arrives from the front, the lives of the three women are pitched into turmoil. As one is pushed to the brink of madness, the others are forced into choices they couldn’t have imagined—and their lives will never be the same. More than five decades later, Violet’s great-granddaughter, Julia, returns to the small farmhouse where Violet and Lena once lived. Listless from her own recent tragedy, Julia begins to uncover the dark secrets that shattered her family, eventually learning that redemption—and love—can be found in the most unexpected places. Beautifully written and profoundly moving, I Gave My Heart to Know This is a riveting story of loyalties held and sacred bonds broken; crushing loss and enduring dreams; and what it takes—and what it means—to find the way home. When I set out to become a novelist, I didn’t realize the corners it would make me turn, the things it would teach me: how to weld a ship together, live aboard an aircraft carrier--even butcher a chicken. It’s not so surprising that in the process of writing an historical novel I’d learn a few facts. What I didn’t expect at all was that the same process would challenge and guide me through my own explorations of some of the questions my characters encounter: how (and whether) to tame or feed or foster your most outrageous dreams; how to accept unacceptable loss; how to know when it’s time to let go, and then how to do it. 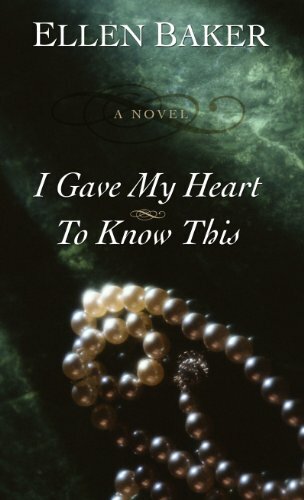 My new novel, I Gave My Heart to Know This, is the story of three women who work as welders at a shipyard during World War II and the tragedy that binds them, even as it divides them. 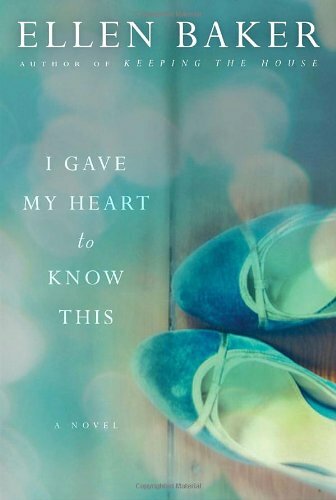 Years later, a great-granddaughter, caring for the family home, pieces together the friends’ long-buried secrets, and learns the difficulties--and the possibilities--of forgiveness. Then came my favorite part: translating what I’d gleaned into the experience of fiction. How would it feel to make an overhead weld, sparks raining down, in a space so narrow the smoke chokes you? To fall in love with someone you’d “met” only in a letter? To carry an undeniable sense of patriotic and familial duty, alongside your dream of a different life? And then, to try to understand how your best efforts to save precious things might instead have been complicit in their loss. Next, I developed a mystery. Time passes; things which are broken and missing long to be fixed and found. And there’s an old house with a seeming incontrovertible will of its own that holds the clues, and maybe the answers--if only someone will look. Pinned to the wall of the attic of this house is a map of the world, with a red X marking “home.” Early on, the children play a pirate game, searching for buried treasure--and perhaps, it comes to seem, the treasure is their home--problematically. I thought a great deal about that map as I wrote: not only the meanings it has for my characters, but how comforting it would be if only I had such a map to write by. Instead, I learned that journeys are best guided by curiosity and desire and a willingness to be taken far--and that the best discoveries are often the things you didn’t know you were seeking.